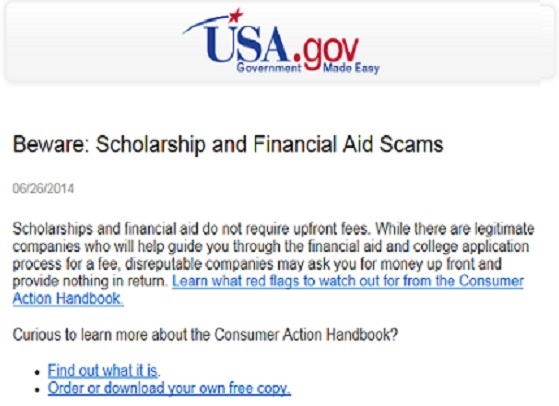 This is a must-read if you are applying for scholarships and student loans. And the “Order or download…” link is Order or download your own free copy. This entry was posted in College Debt, Financial Aid, Fixing Education, Government Reports, Post-Secondary Costs, Post-secondary education, Student Loans and tagged Education, financial aid, Higher education, Scholarships, student financial aid, Student Loan Fraud, student loans, U.S. Department of Education. Bookmark the permalink.